Women in the Kitchen: Barefoot ‘n pregnant no more, baby. For a limited time only, hop on over to Zulily.com where you can score this J.A. Henckels International East Meets West Fine Edge 10-Piece Cutlery Set for just $59.99 (regularly 222)! 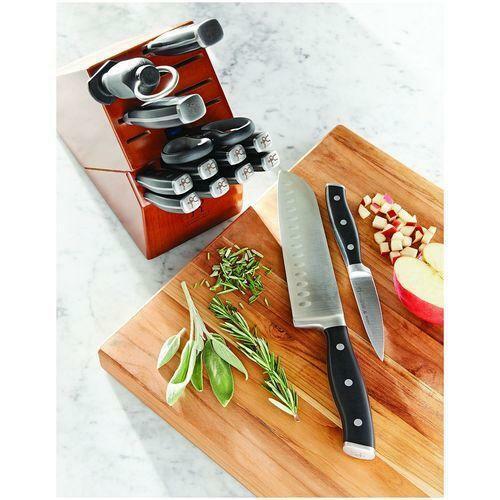 This 10-piece set includes a 3″ paring knife, 3″ vegetable knife, 5″ utility knife, 5″ santoku knife, 7″ hollow-edge santoku knife, 8″ hollow-edge chef’s knife, 8″ bread knife, 8″ carving knife, 9″ sharpening steel and hardwood knife block with extra slots. Tired of paying for shipping on Zulily? Through April 30th, score unlimited FREE shipping on Zulily for a one-time payment of $9.99 (over a $95 value)! Even better, if you pay with your Zulily credit card, you’ll snag an extra $2 off! Just add this free shipping offer to your cart for $9.99 and check out to unlock free shipping on all future qualifying merchandise orders placed through April 30th. Check out these lighting options for your home! A rundown of arthouse and repertory offerings in the greater Seattle area for March 15-21, 2019. A rundown of arthouse and repertory offerings in the greater Seattle area for March 8-14, 2019.